Card Text Play: Your opponent loses 1 . 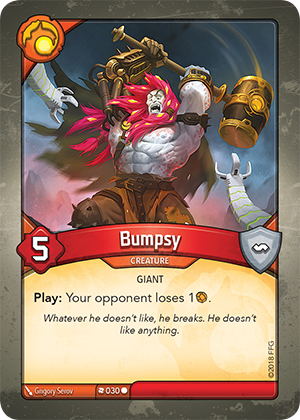 Flavor text Whatever he doesn’t like, he breaks. He doesn’t like anything. Where does the lost Æmber go? Lost Æmber is always returned to the common pool. If the opponent does not have any amber, nothing happens.